Despite a 6 hour time difference on the east coast, on Monday, September 24th I was able to resume my regular weekly schedule picking up my show from the year 2000. Still I was acclimating and my head was a bit congested because of the change and travel. It’s always exciting for me to be back on the airwaves once again. Also, it provides me with a decompression to bridge between this time out and heading back to Hawaii. The upside of smartphones is that they make it possible to plan out trips quite effectively. Apps such as Uber, GPS, Air BnB, Transit Trip Planners, Email, Vivid ‘Flash’ Seats among others really helped make this whole trip a fantastic experience. Unfortunately, the downside is when your phone won’t recharge and all your information is locked inside your phone that cannot be accessed. Such was the case on the night of the Nine Inch Nails concert when I was unable to even show them my ‘flash’ ticket and instead had to have the credit card swiped to identify that I had purchased my seat. Which worked perfectly as I was told by someone who had a similar experience at the hostel where I stayed. But if you’re a friend of mine and haven’t received a call in awhile… it may be because I’ve lost your phone number and it did not transfer onto my new one. This journal serves as a good primer for what I’ve been up to for over the last 3 months. My pictures and videos also got lost in the process except for those on Facebook. d). 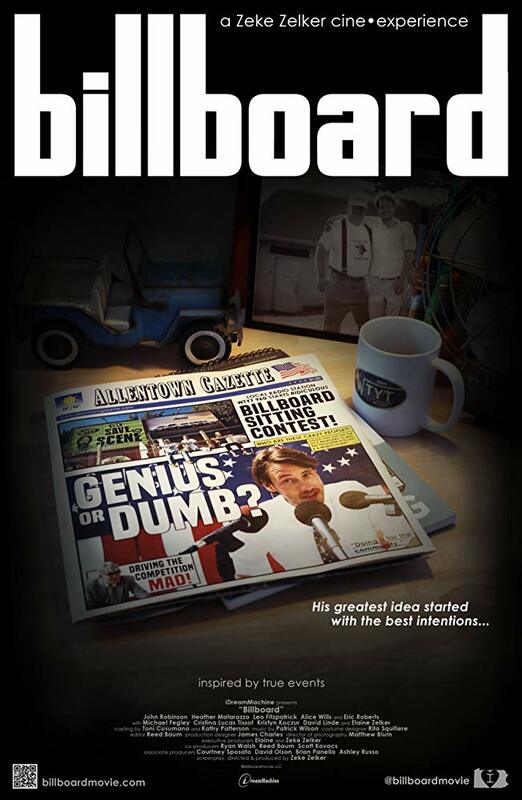 The Mayor of Allentown was tried, found guilty and imprisoned for 15 years. f). A car bomb exploded killing 3 people in it including a 2 year old child. g). Nearly 100 exotic animals were found at a couples home in Macungie. h). 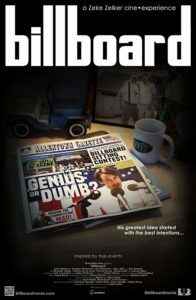 The Movie “Billboard” was made here based on a true story of 3 guys camped on a billboard (in Allentown) as part of an AM radio promotion in the early 80’s. The answer unfortunately is e). No one here became an instant millionaire that I know of. The other stories are however true and some quite inhumane and dismal at that. Particularly f) which I won’t go into. The X-files would really have to step up its game to compete with these last several weeks. There were more including some strange weather patterns (floods, tornados) but those are becoming more and more commonplace all over the world. Having heard of CloZee and her performances recently at Envision 2017 in Costa Rica as well as several near missed concerts in both Reno and Denver, I’d finally get to see her show in Philadelphia. It was everything that I hoped it would be. A very skilled electronic goddess/dj who can also play mutiple instruments as well as producing her own work, she really delivered a great set. So glad that I did not miss this one as I’m unlikely to see her perform back on the islands. Though that would be amazing to see and I’m sure she would love playing here. In between all of the above moments, there were a lot of very special times with people from my past times here in Allentown especially. It doesn’t seem like there is ever enough time to be truly grateful for all of those. But it is always satisfying to make those connections. Even to just relive or stroll past some of the cornerstone places that were very real to me growing up. One radio station that I connected with belongs to Muhlenberg College and was a flashback to my final year in 1983. Many people from that great period of broadcasting are now spread out over the country working their own magick. Some are still here in Allentown and serve as an inspiration for knowing what is possible thru community radio and the purpose that it serves. WMUH still stands today and broadcasts 24/7 but shortly after I left it spawned another Public NPR based community station – WDIY. Both of these serve as beacons because that final year in 1983 was so special to me personally. It marked the end of my time hereand yet, like Burningman, that part of my soul that was left behind can be reclaimed again each time I get to revisit. So many thank yous go to all who were part of this fantastic journey. Sometimes it’s essential to just get back to your roots so that you can further gain perspective and move forward. It also reshapes some very valuable connections with friends and family who we all love. Finally, in closing… a very special remembrance and tribute to Zackary Gibson who passed away on this day, November 4th. 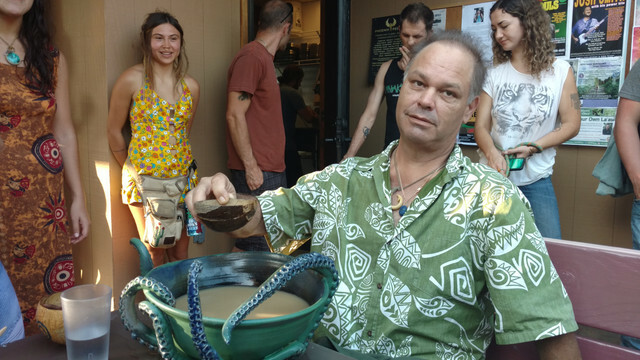 He will forever be remembered for providing the foundation for some of the finest Big Island outdoor gatherings both at the Kava Farm on the Hamakua coast as well as Kanaka Kava Bar in downtown Kona. A true renegade and pioneer in every sense, he will truly be missed. Much Aloha and Mahalo for the great times Zack! Rest In Peace.